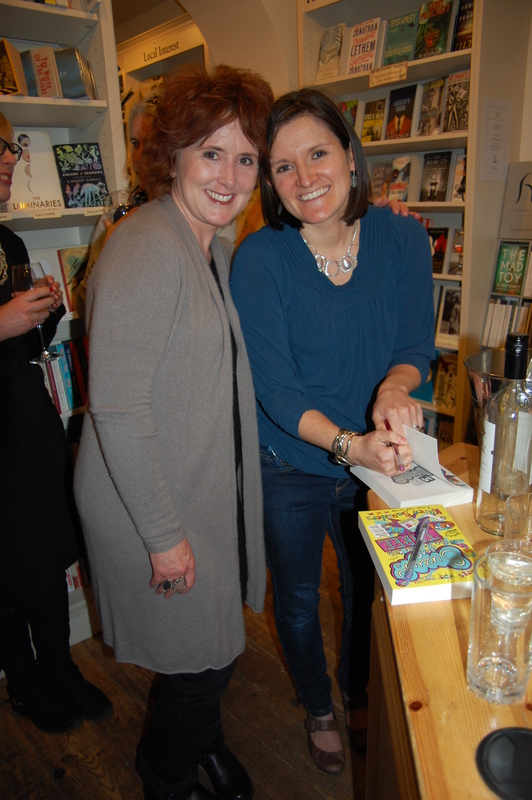 A Book Launch Blog Post! 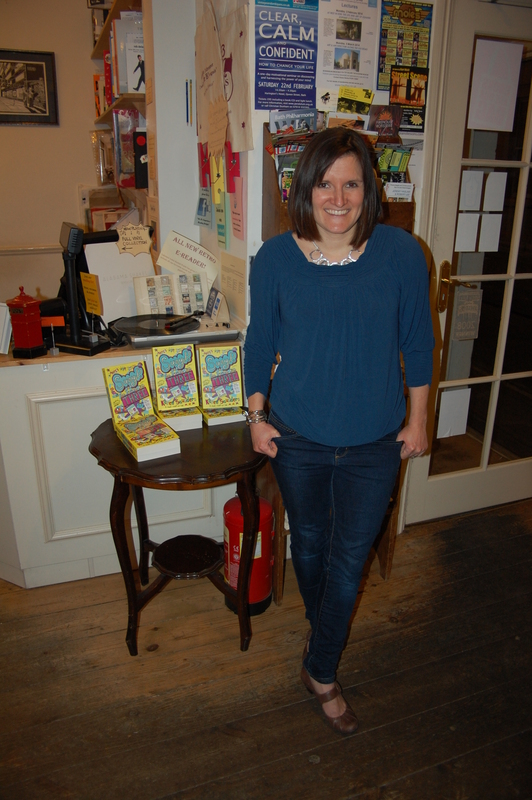 Earlier this week, I had a party to celebrate the launch of my new book, Suzy P and the Trouble With Three. It was loads of fun! 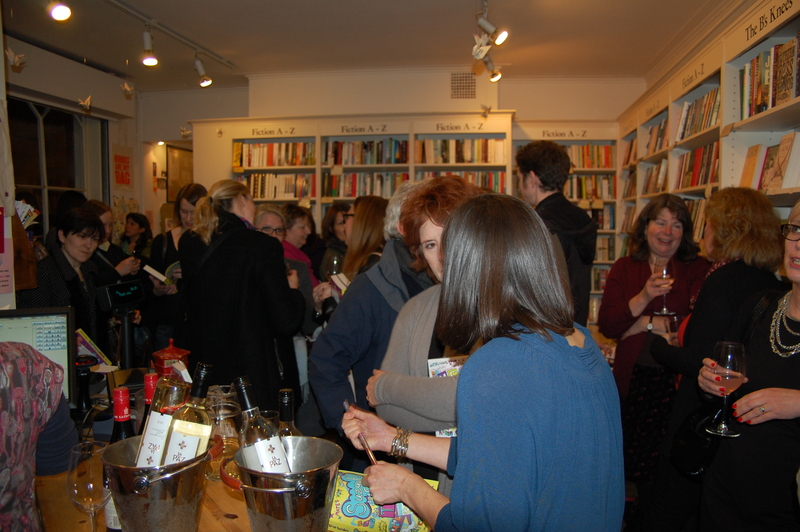 We held it at a local independent bookshop, the fabulous Mr B’s Emporium, who did an amazing job of hosting. They laid on masses of great sweets, marshmallows and even had pink lemonade, what more could anyone want?! 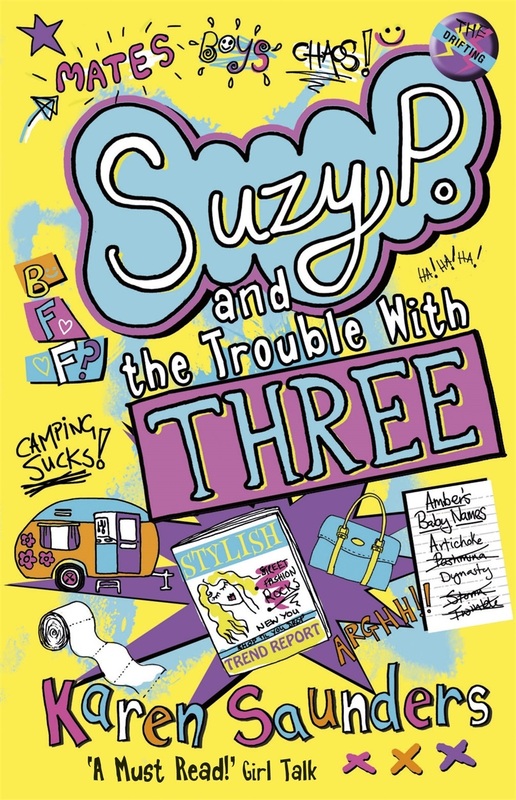 The book’s the sequel to Me, Suzy P, which was released last year, and this new story sees Suzy and her family, along with best friend Millie and friend of the family Isabella, off on holiday in their caravan. Two weeks in rainy Wales don’t sound fun at all! And things get worse when Millie seems to be spending all her time with the beautiful and snooty Isabella, and Suzy doesn’t know what to do about it. At the launch I talked a bit about Suzy and how she’s always doing funny, embarrassing things – based on the funny, embarrassing things I do all the time – then I gave hints about the book by getting people to pull items out of a sleeping bag sack. There were stuffed rats, marshmallows, value baked beans and even a bra being waved around the bookshop! Thanks so much to everyone who came along to celebrate along with me. Me striking a pose with the books. Me with friend and fellow author, lovely Moira Young, author of Blood Red Road. 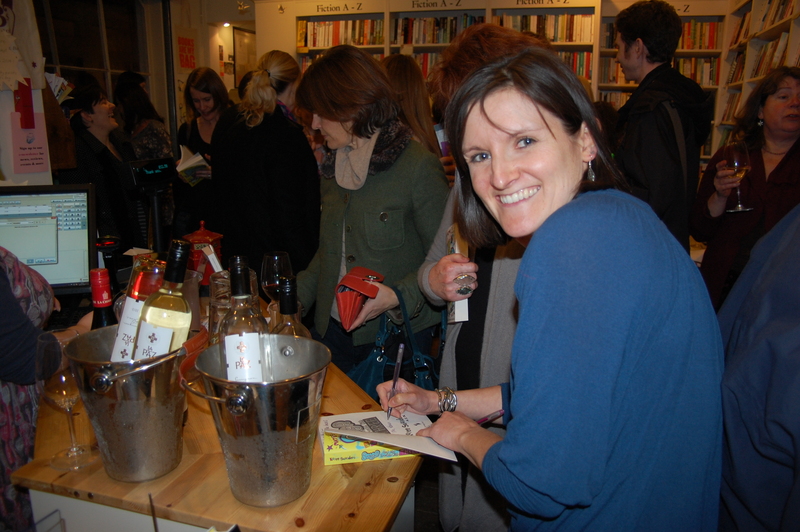 Me doing my signing thang. There were a choice of three colours of glittery pen for your dedication, oh yes. The sequel to Me, Suzy P is officially out today! *throws streamers and confetti*. Very exciting! 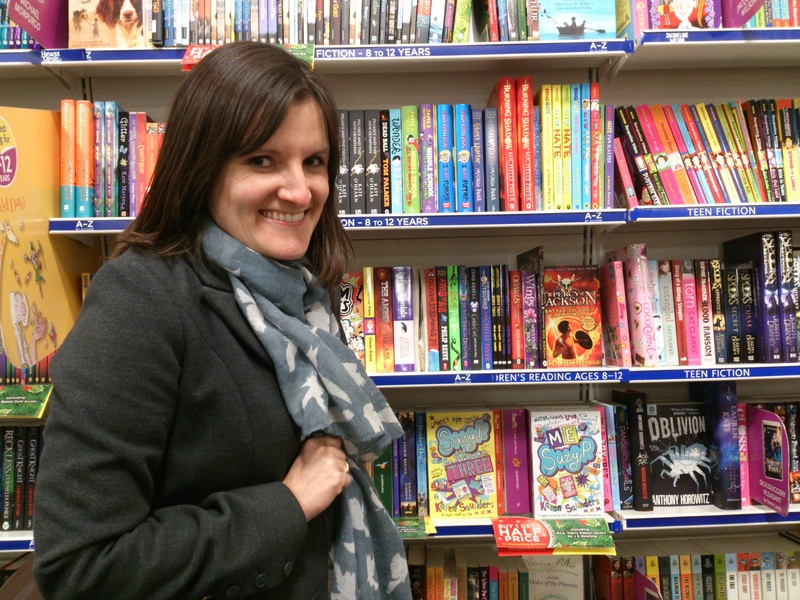 And here’s a picture of the book sighted for the first time in the wild, in WHSmiths.